more heavyweight techniques. Mininet and physical testbed evaluations demonstrate CCG’s capability to achieve various types of consistency, such as path and bandwidth properties, with zero switch memory overhead and up to a 3 delay reduction compared to previous solutions. Wenxuan Zhou is a Ph.D. student in Computer Science at the University of Illinois at Urbana-Champaign (UIUC), advised by Prof. Matthew Caesar. 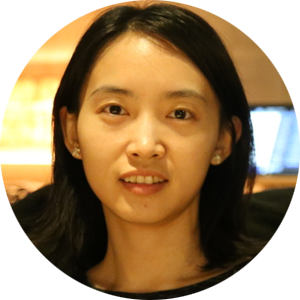 Her research focuses on network verification and synthesis, with an emphasis on software-defined networks, data centres, and enterprise networks. She received her Bachelor’s degree in Electronic Engineering from Beijing University of Aeronautics and Astronautics, China, and her Master’s degree in Computer Science from UIUC.